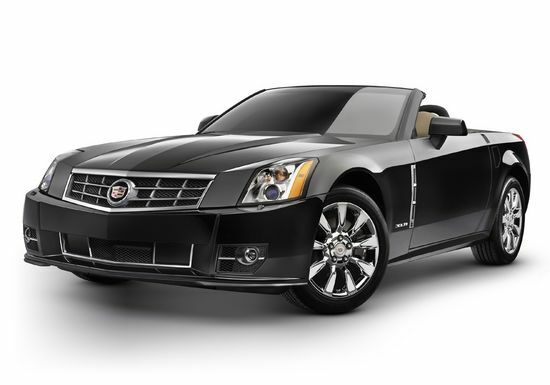 The XLR is a luxury roadster sold by Cadillac and is assembled in Bowling Green, Kentucky. It is based on the same Y-body platform as the Chevrolet Corvette. The XLR uses the Cadillac Northstar engine rather than the GM LS2 engine found in the Corvette. The XLR also has its own unique styling, interior, and suspension, and has a power-retractable aluminum hardtop. The engine is Cadillac's 4.6 L Northstar tuned for 320 hp, and operates with a 5-speed automatic transmission. Cadillac introduced the XLR at the 2003 Detroit Motor Show, and it entered production in the 2004 model year. Prior to production the XLR appeared as the Evoq in auto shows. It has a base price of $76,650. Sales have been below expectations. Rather than reaching 6,000 per year, Cadillac had sold just 4,745 in 18 months as of March 2005. 3730 were sold in the United States in all of 2005. Designed for both performance and luxury, the XLR comes with heated and cooled leather seats, wood interior trim, 18 in alloy wheels, and side airbags. Navigation, audio, and DVD are all displayed via a 7-inch dashboard screen, and Remote Keyless Access is included. All of these features are standard. The dashboard screen also allows Internet access. The XLR is the second roadster offered by Cadillac in recent years. The first was the Cadillac Allanté, produced from 1987 to 1993.